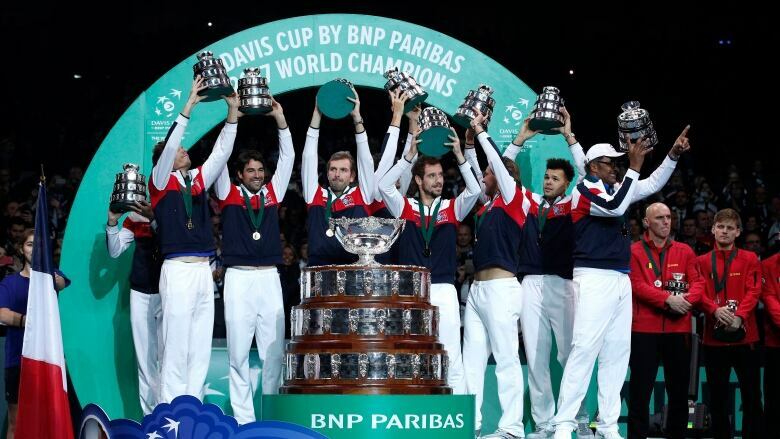 The Davis Cup is getting a radical overhaul in hopes of reviving an event that has lost some lustre. And players will be competing for what the ITF says rivals Grand Slam prize money after a $3 billion, 25-year agreement that was approved Thursday at the organization's conference in Orlando, Florida. A spokesman said about 71 per cent of the delegates voted for the reform. The finalists will be placed into six, three-team groups for round robin play, involving two singles matches and one doubles match, all best-of-three-sets — instead of the current format that has four singles matches and one doubles match that are best-of-five. The winners, along with the next two teams with the best records, will advance to the single-elimination quarter-finals.